Darren’s growing awareness that he might have a future as a career hockey player was not the ephemeral musing of a kid smitten by an unrealistic dream. 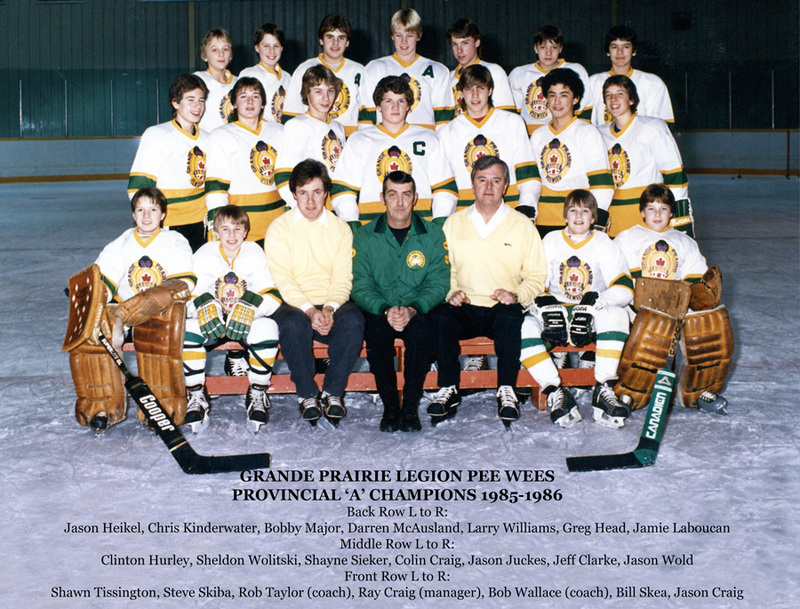 Grande Prairie was a hockey savvy town including GP Hockey Legend Ken Head, coach of the Grande Prairie Junior North Stars. Ken knew outstanding hockey talent when he saw it and he had watched Darren’s development. Although Darren was only sixteen, Ken was confident that he was ready for a big step from bantam directly to junior hockey. Darren completely leapfrogged over the midget category. “The summer following my last my last bantam season was one that changed my life and set me on a path I had always wanted. The person I owe this to is Ken Head,” Darren asserts. 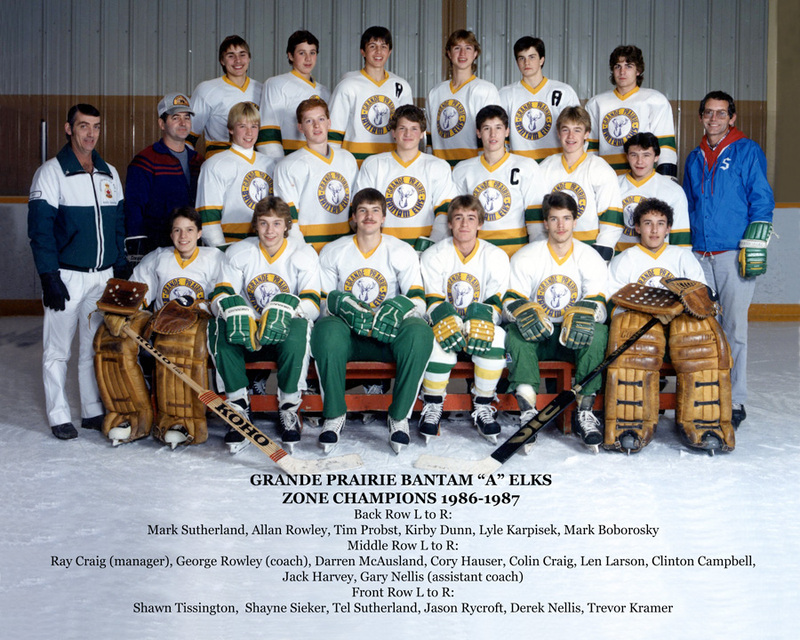 The giant step from bantam to junior hockey was no mistake. Darren was recognized as rookie of the year, named to the All-Star game and scored fifty goals in fifty-two games. Darren’s childhood and early adolescence was spent in a setting where he and his friends were able to play their favourite game to their heart’s content. It is a phase of his life that Darren treasures and values deeply. His year as an underage junior playing with coach Ken Head was his last year in the northern communities of Grovedale and Grande Prairie. 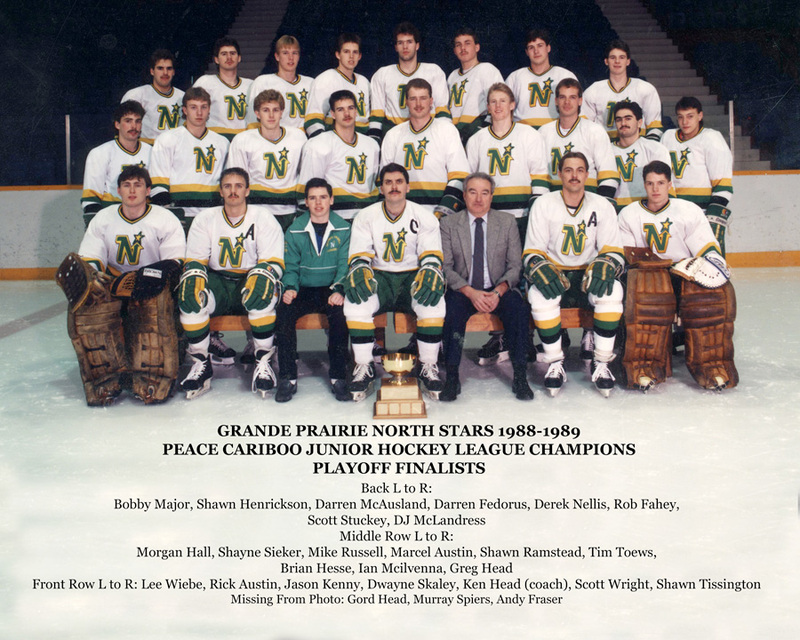 According to Ken, hockey scouts seldom visited Grande Prairie but while sixteen-year old Darren was playing with the North Stars at an away game, he came to the attention of a friend, Jake Goertzen. Originally from Ft. St. John, Goertzen was then Director of Player Personnel and a scout for the Seattle Thunderbirds in the Western Hockey League (WHL). He believed that Darren was ready to play major junior. “So they put me on their list,” said Darren. “He was the one who opened the door for me. Later when we were in the playoffs in Williams Lake Thunderbird coach Barry Melrose and GM Russ Farwell came to watch me play and in the fall of 1989 at age seventeen I moved to Seattle to play in the WHL.” In Seattle, Darren was coached by Peter Anholt; tough but fair. Darren reports he would have run through a wall for him. In his first season with the Seattle Thunderbirds he played on a line with Petr Nedved who had just defected from the Czech Republic. Other future NHL stars on the team were Chris Osgood, Brendan Witt and Turner Stevenson. The Thunderbirds were a very competitive team in the WHL but there was one better: the Kamloops Blazers. They had a stacked team that Darren and his teammates faced in the 1992 Memorial Cup finals. The Blazers won the cup but none-the-less playing in the Memorial Cup finals was the highlight of Darren’s stint in the WHL. Future NHL Hall of Fame Scott Neidermayer played with the Blazers and NHL Hockey Commentator, Bob McKenzie, who covered the series stated that Darren was the Thunderbird’s Scott Niedermayer. While in Seattle, Darren was grateful for the opportunity of having lived with a wonderful host family: no small advantage for a teenager’s first experience away from home. It can make or break such a move. Support for Darren was ongoing at home and they followed his fortunes as closely as possible. Scott Seymour reported that satellite dishes were commonplace in Grovedale in the 1980s and through the services of a regional sports network, they were able to obtain coverage of hockey in the US Northwest. “We watched a game when Darren scored an overtime winning goal in his rookie year with the T-Birds.” One can imagine that the cheering in Grovedale rivaled that of fans at the game. For a number of years the network used this footage as promotional material. In Seattle, Darren played in 205 regular season games and during that time recorded 66 goals, and 109 assists for a total of 175 points.